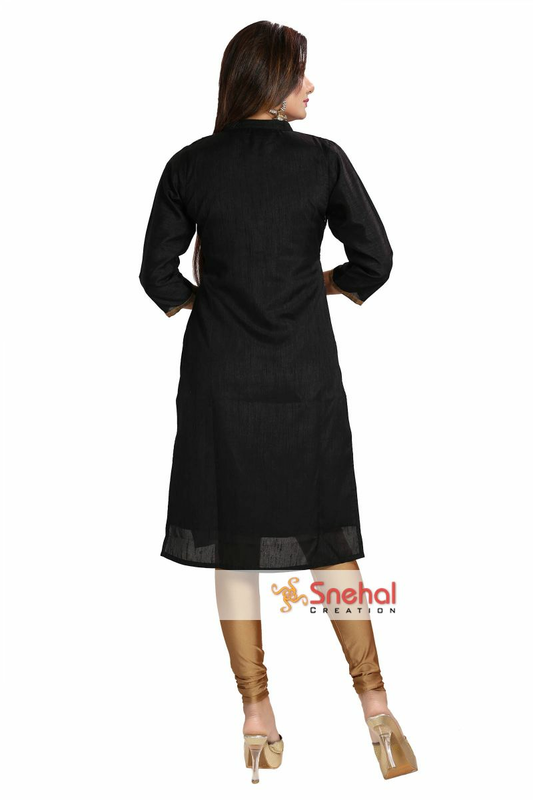 Create a sense of sophistication about your appearance by choosing this Black Bedazzle Raw Silk Collared Kurti Tunic with Threadwork to be a part of your closet, an intricate handiwork by Snehal Creation. 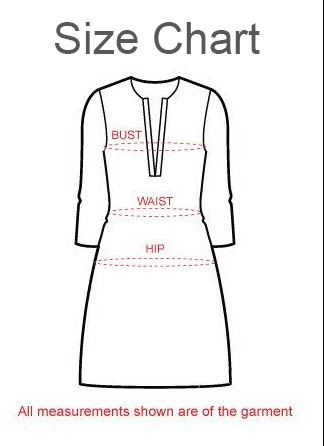 Crafted out of excellent quality raw silk this well structured tunic is tailored in a front open fashion with a ban collar and full sleeves. Heavy threadwork embroidery of floral motifs in copper and silver along with copper buttons at the front gift this piece its look of opulence. A subtle copper taping at the slits and cuffs is appealing.